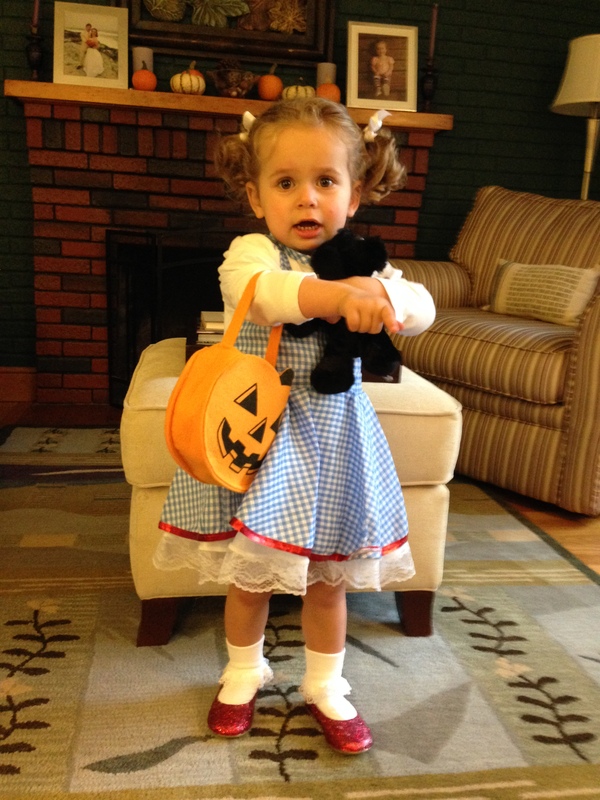 We’re going to trick or treat tonight rain or not, our little Dorothy and Toto the dog are so excited! Happy Halloween! You can make your own ruby slippers, too!